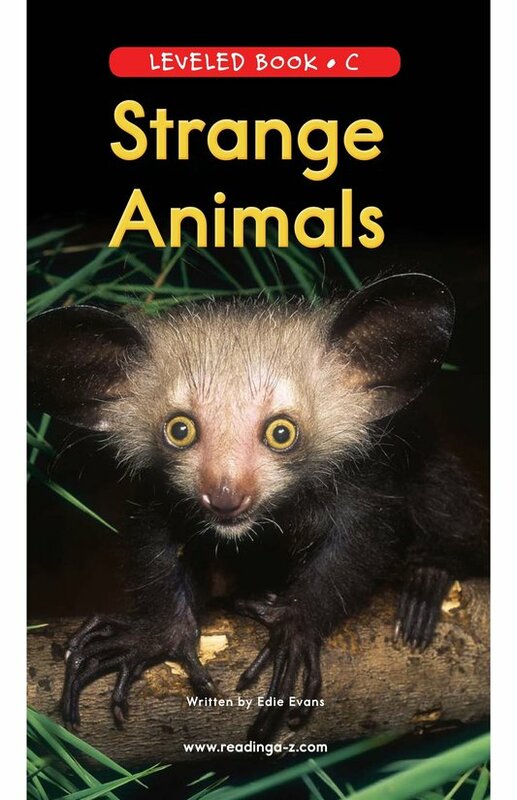 Have you ever seen a strange animal? 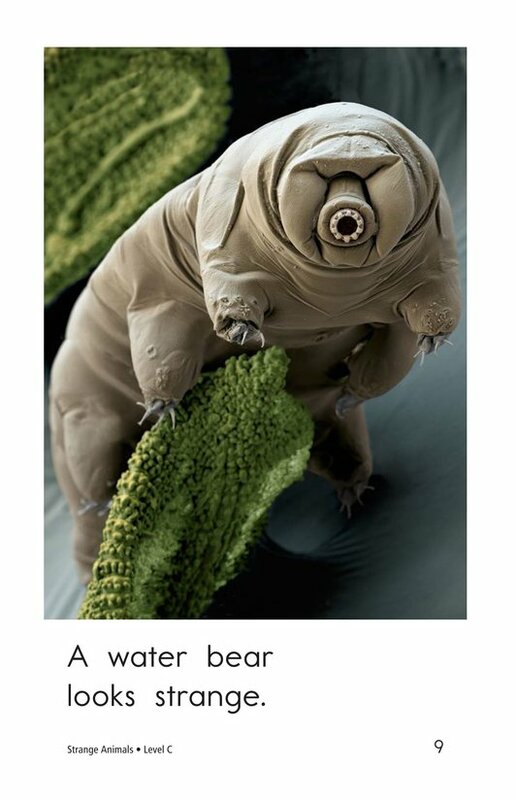 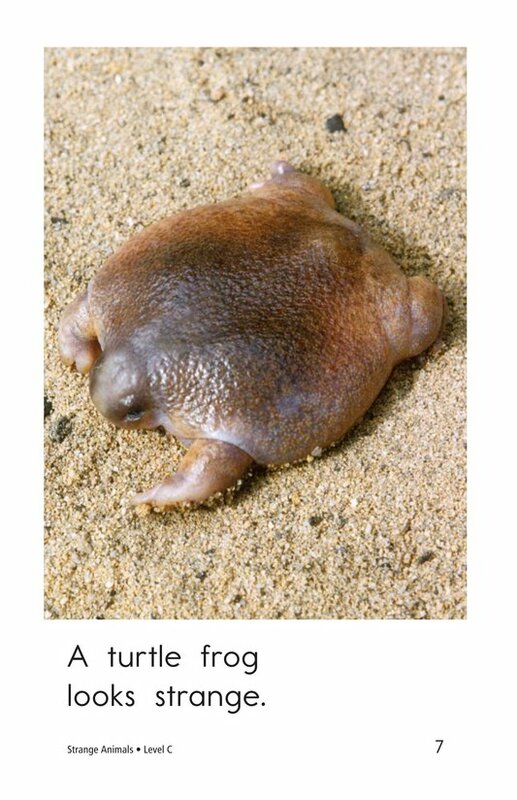 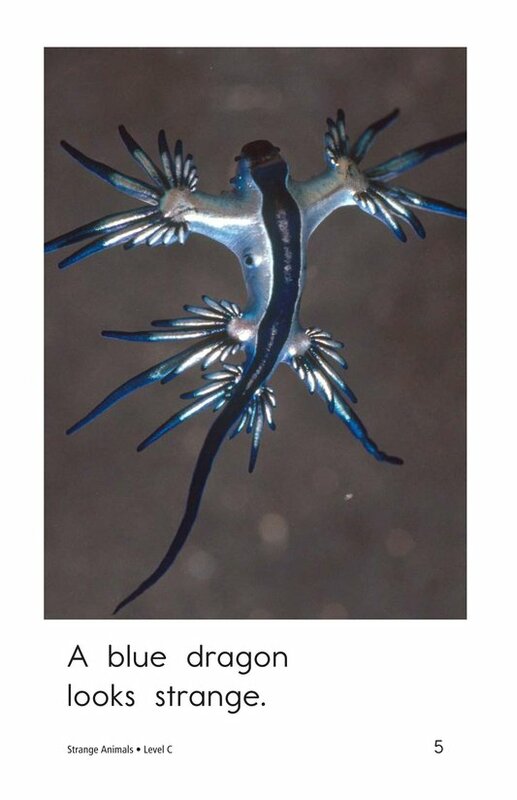 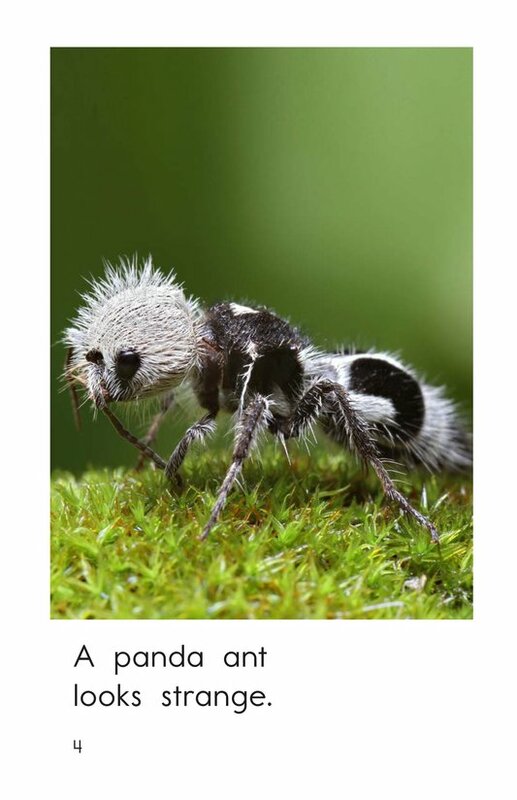 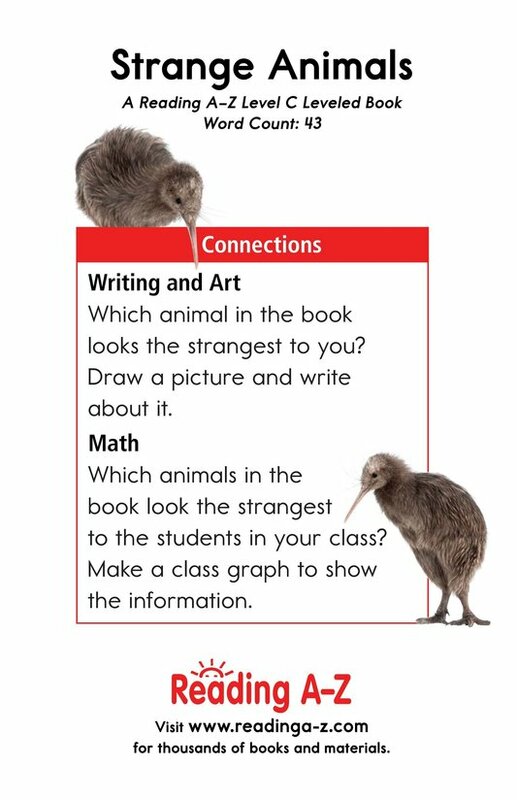 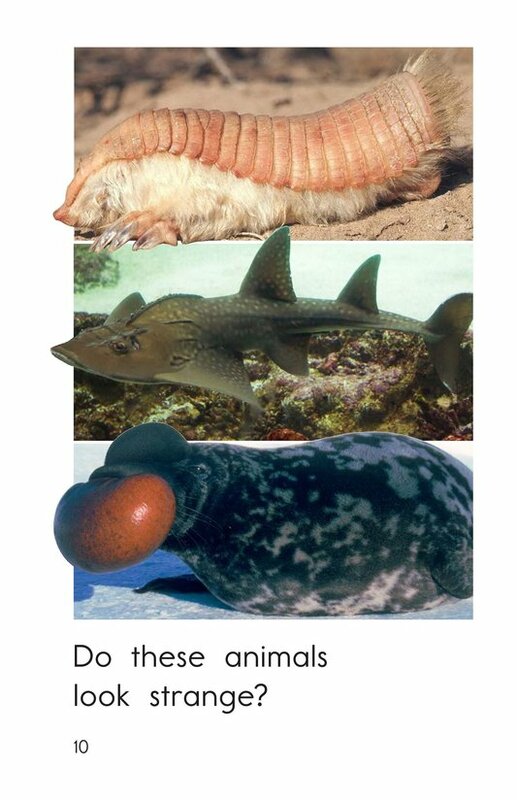 In Strange Animals, students will discover what makes some animals unique. 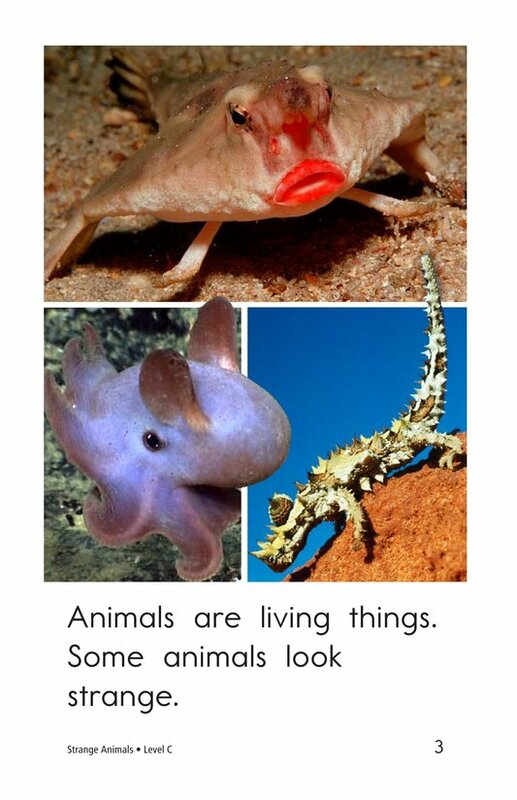 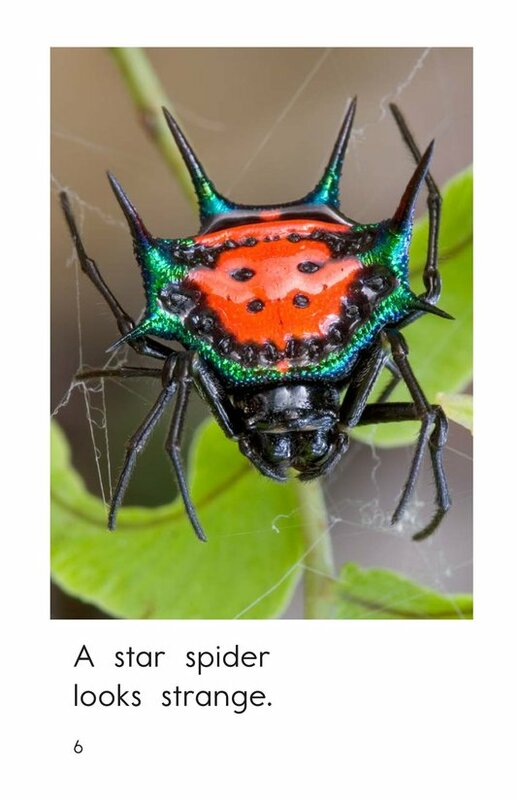 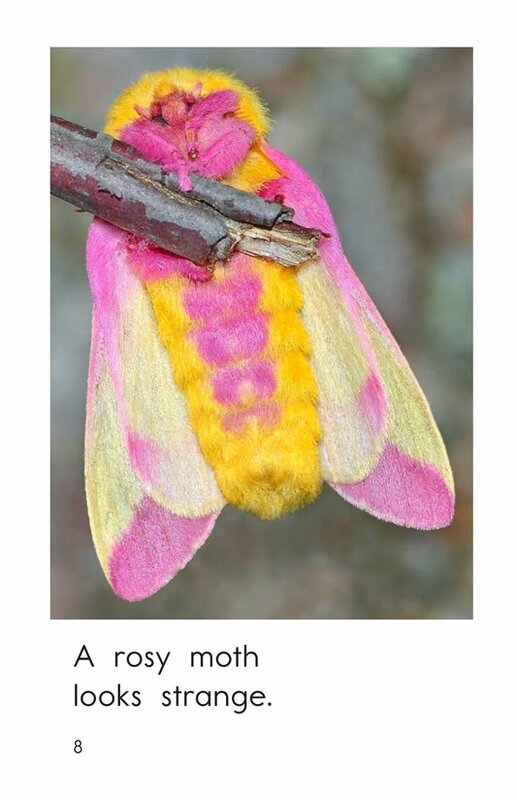 Through vivid and colorful photographs, students will be able to identify special features of uncommon animals. 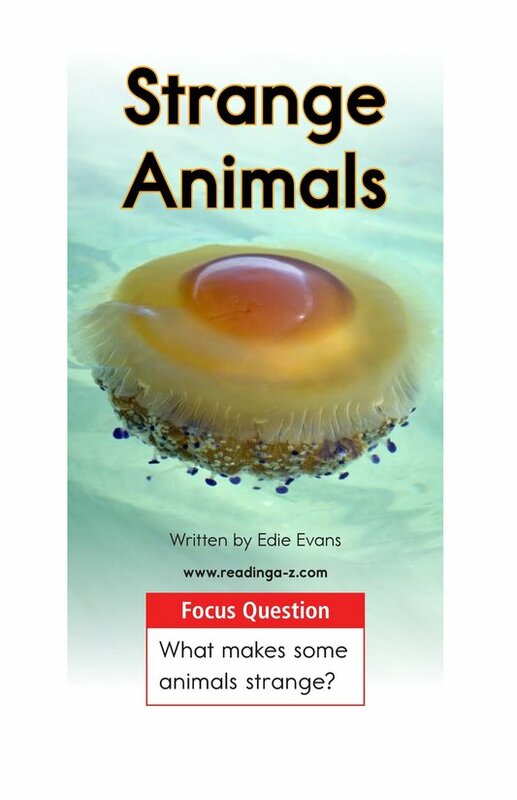 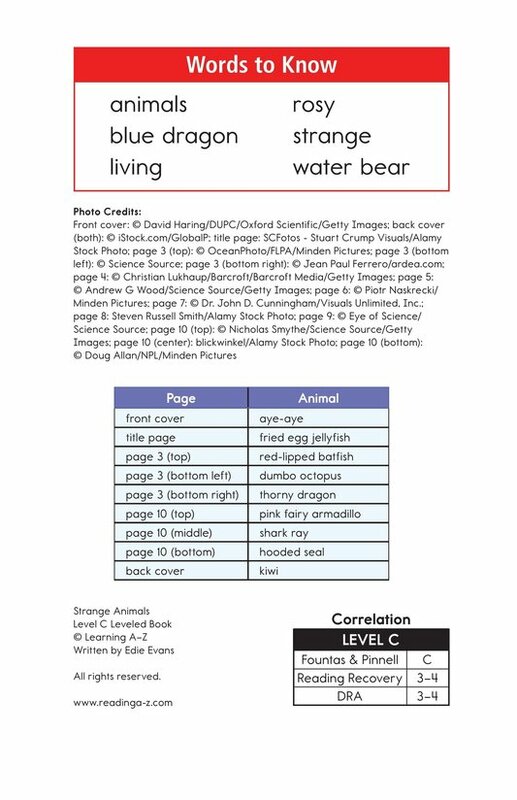 The use of high-frequency words and repetitive text support emergent readers as they practice asking and answering questions as well as comparing and contrasting characteristics of strange animals.